Aspire Running Events Ltd are extremely proud to announce a further summer event at the stunning Old Down Estate. 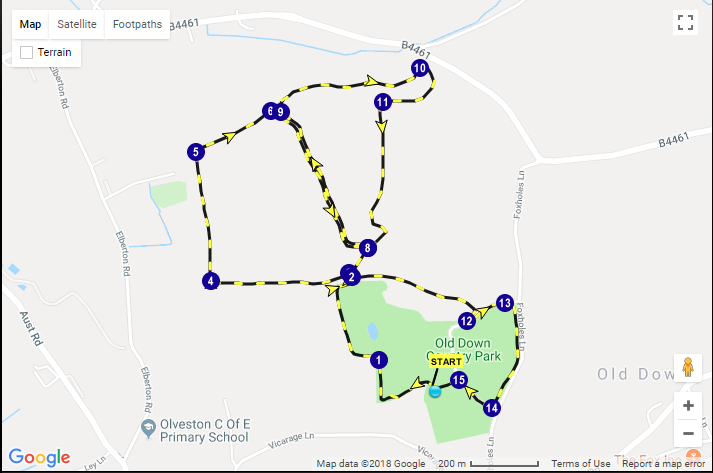 How was Old Down Estate 5/10k? This multi-terrain 5/10k will start from near the foot of Brean Down, ascending straight into the steep hill to the top. You will then be taken up and over the challenging undulating hills with a gradual descent to the fort which is the turnaround point. The route will then take you along the adjacent side and back down to the finish. The 10k runners will then take on this enduring route for the 2nd time. There will be a halfway water/feed station just past the 5k point. The route will again be marked out with run route sign signs and orange/yellow waymarker flags throughout the course, ensuring that Brean Down is preserved and not damaged in any way. Aspire Running Events Ltd are extremely proud to announce the Brean Down Santa Scramble. This is Canicross friendly. There are options of either a 1 loop 5k or 2 loops 10k.